For more luxurious eyebrows, emphasising the eye's personality. This gel (plant extract based) naturally reshapes the line of the eyebrows to make a woman's look as expressive a possible. It stimulates their growth and makes them thicker and healthier. You will be delighted with this product's conditioning action combined with its easy application. 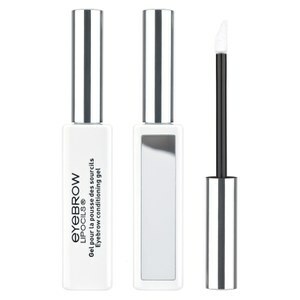 Apply on eyebrows following the eyebrow line once or twice a day in the morning and/or evening (28-day cure). Eyebrow Lipocils must be applied at the root of the brows, wetting the skin. Water, Carbomer, Lecithin, Hypericum Perforatum (Hypericum Extract), Pyrus Malus (Apple Extract), Hammamelis Hippocastanum (Witch Hazel Extract), Aesculus Hippocastanum (Horse Chestnut Extract), Urtica Dioica (Nettle Extract), Sodium Lactate, Lactic Acid, Phenoxyethanol, Allantoin, Methylparaben, Ethylparaben, Propylparaben, Butylparaben.